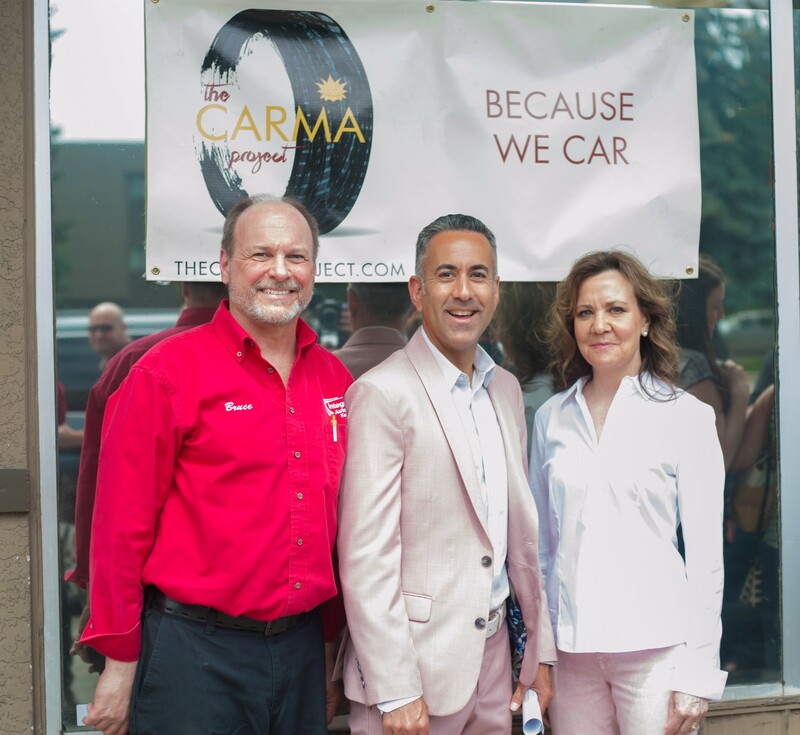 The Carma Project – "Because We Car"
and help another member of the community get going. and giving it to someone who’s in need of getting around. 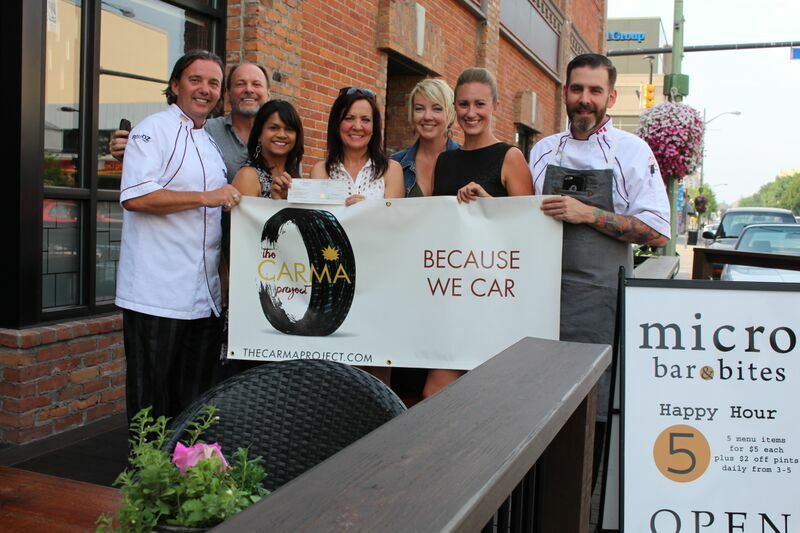 Without all of your generosity and support, The Carma Project would not be possible. It is because of your combined efforts and dedication that we are able to come together and make a difference for others in our community – and for that, we are truly thankful. The CARMA PROJECT Continues ~ "Because We Car"
They say a way to a man’s heart is through his stomach…. 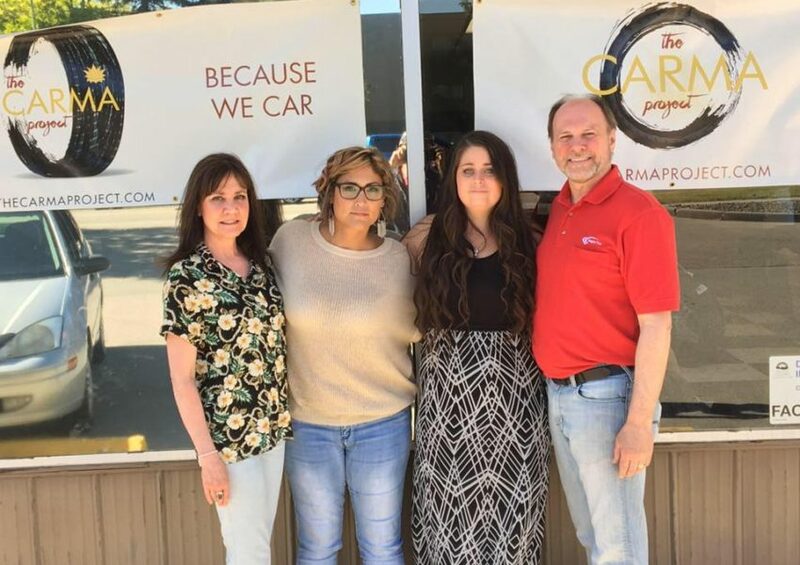 but the Chefs, Bartenders and Staff at Raudz Restaurant and Micro Bar Bites also know how to spread the Carmic love with the Kelowna community! Pictured here are as they hand over $300 to Penny and Bruce Stranaghan from The Carma Project, which Rod Butters, Audrey Surrao and staff have proudly supported, since the charitys’ inception over 5 yrs ago. It was Christmas 2010, the season of goodwill and charitable acts, and Bruce Stranaghan, owner of Integra Tire Kelowna, was sitting in his office at Integra Tire Kelowna. Do you have a good used vehicle you no longer need and would like to donate it?